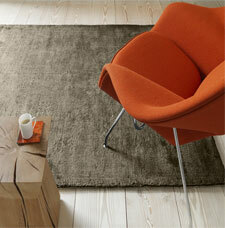 Dolce is a range of super soft hand-woven plain viscose rugs. The rugs are also especially hand-washed for extra softness and a radiant look, which is suitable for any room setting. Dolce rugs come in a variety of colours and sizes and are excellent value for money. Fabric: 80% Viscose 20% Cotton.